A total rustic beauty! 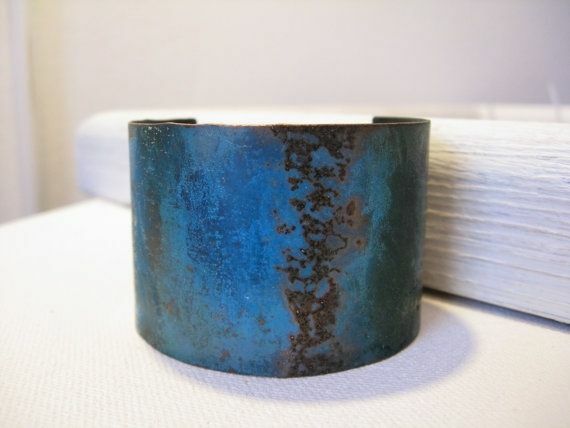 This is the perfect cuff to add to your Fall wardrobe. 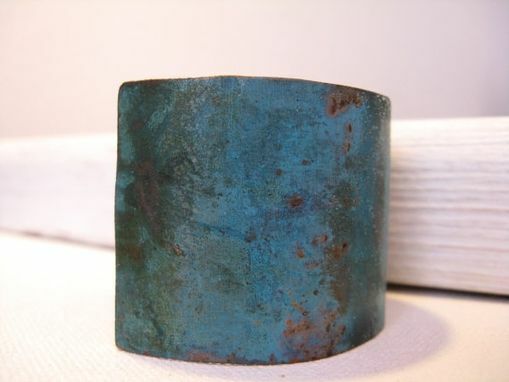 This copper cuff has been given a natural patina and has an awesome mix of green, blues, and pieces of the copper peeking through. 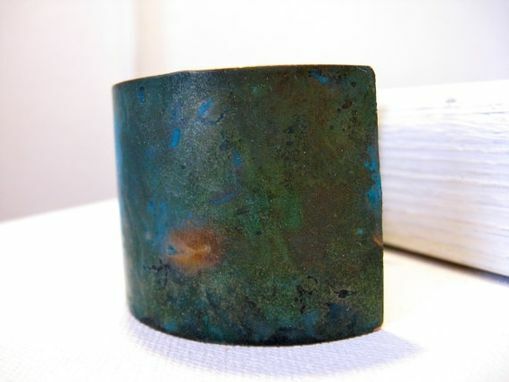 I sealed the cuff with a jeweler's wax so the color will stay true. Not to mention that copper has been known to have healing and detoxifying properties - so it's fashionable and good for you! *Due to the natural patina colors, patterns, and textures will vary on each cuff.